NBCUA owns and operates a 2,000 gallon high pressured sewer jet vac capable of cleaning up to 36" storm and sewer lines. NBCUA wil supply highly qualified personnel to operate the truck and tend to your every need. If it is just regular maintenance or emergency situations NBCUA is the answer. Available 7 days a week, 24 hours a day. NBCUA's highly trained personnel can assist and perform day-to-day services to meet your wastewater collection system needs. This includes, but is not limited to, pump station checks, alarm call-outs and daily checks, pump repairs, and control and electrical troubleshooting which is all handled by efficiently trained personnel. NBCUA's maintenance and electrical staff are available 24 hours a day, 7 days a week. NBCUA is also capable of offering you a New Jersey State Licensed Operator for your collection system and can also conduct mandatory New Jersey State Certified Backflow Preventer Inspections in accordance with New Jersey State requirements. 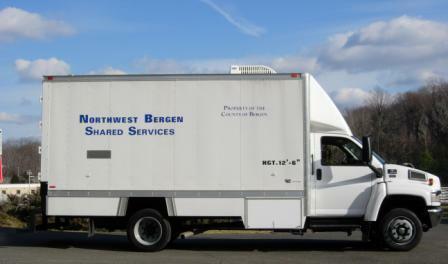 NBCUA is able to TV and video your storm drains and sewer lines, utilizing the most up to date technology available. NBCUA is able to inspect small (4") to large (56") diameter lines, producing video on DVDs, Pipe Graph Reports and Observation Reports with Photos. For more information about any of the services above, please contact Robert Genetelli at 201-447-2660.